My brother’s fiance is a nightmare of a bride. It doesn’t help that she has a wedding budget roughly equivalent to the GDP of a country. My brother thinks it’s the “stress” of wedding planning that has her acting out. 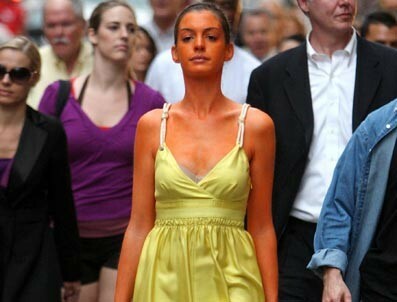 She wants her bridesmaids to have matching skin tones, she expects us to undergo spray tans. She invites hordes of people to her dress fittings and gets offended if people don’t attend. She offered to pay for a gym membership for my mom. I feel strongly that my brother shouldn’t marry this woman—no one should! But obviously that’s not my business. How can I support a marriage, and attend a wedding, I don’t believe should take place? This entry was posted on February 8, 2012 at 7:15 am and is filed under Uncategorized. You can follow any responses to this entry through the RSS 2.0 feed. You can leave a response, or trackback from your own site.